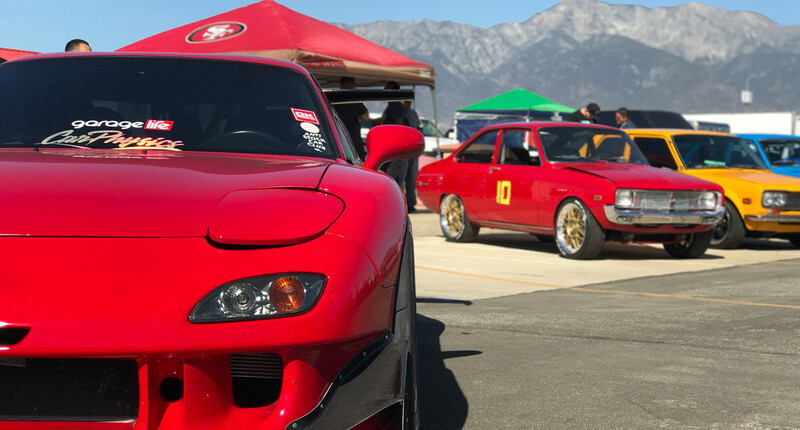 20 Images: Could this be the largest Mazda rotary car meet in the world? 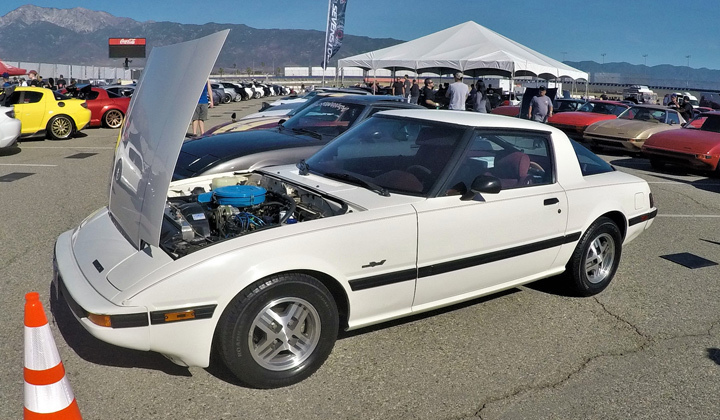 Sevenstock is arguably the largest gathering of Mazda rotary-engine enthusiasts in the world. 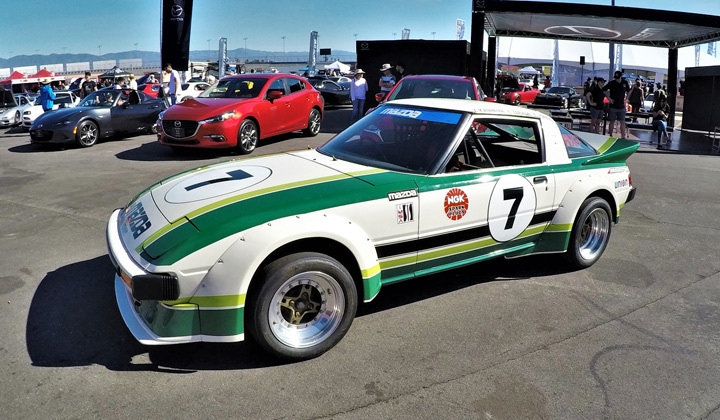 The event, now held annually at the Auto Club Speedway in Fontana, California, brings together fans of the venerable rotary-engined cars produced by Mazda. 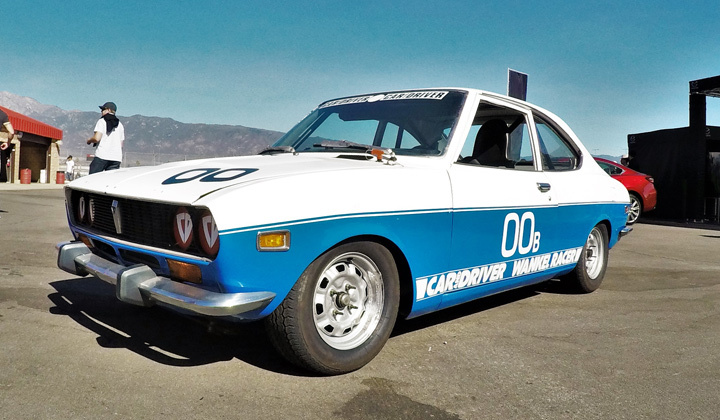 Sevenstock is not only a car show, but also a track day for performance-minded participants. 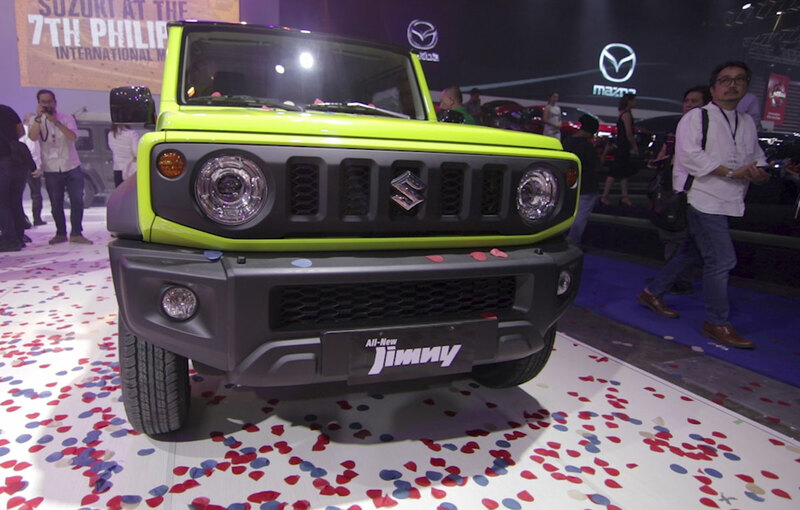 This well-attended event drew in hundreds of cars and thousands of enthusiasts eager to participate in the show. 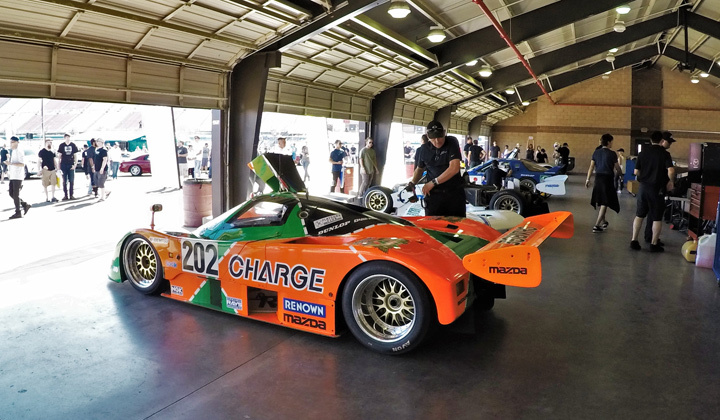 Mazda USA has been an avid supporter of the yearly gathering, and as such, brings out many of its historic cars, race cars, and personalities. 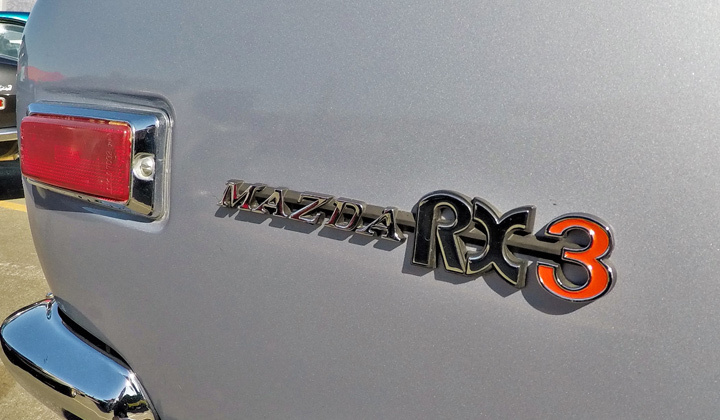 It even displays its current model lineup. 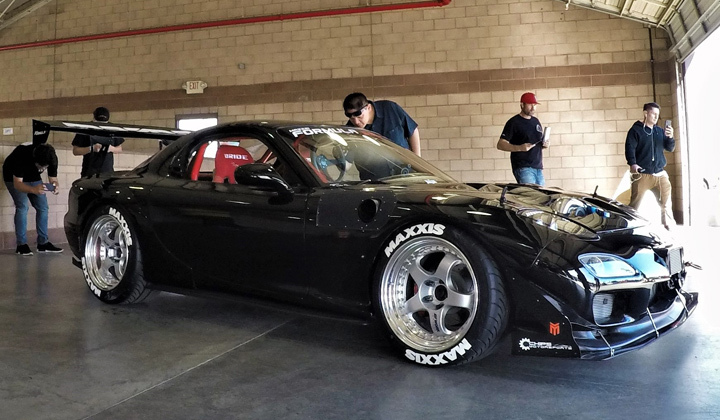 The Auto Club Speedway, more popularly known as the Califonia Speedway, is famous for its high-banked oval where race cars can reach speeds in excess of 320kph. 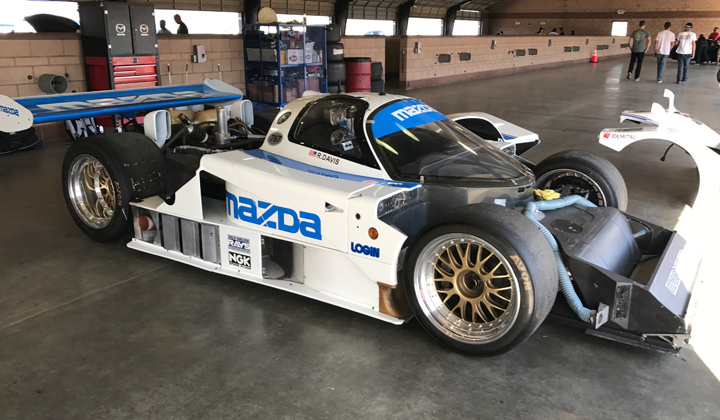 None can do this more spectacularly than a rotary-powered racing prototype. 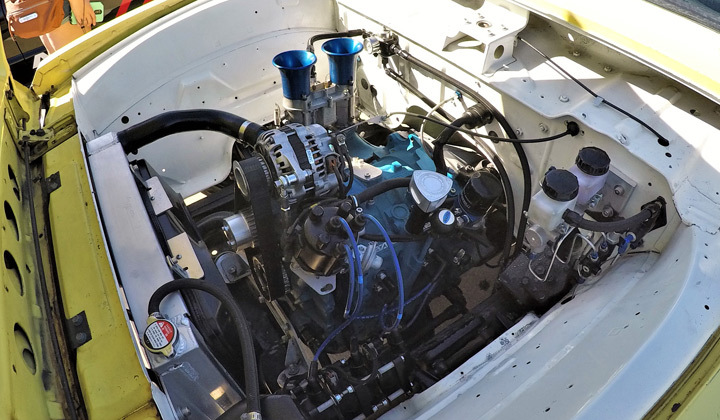 Few motors can come close to the sound of a normally aspirated Formula 1 engine like a purpose-built Wankel can! 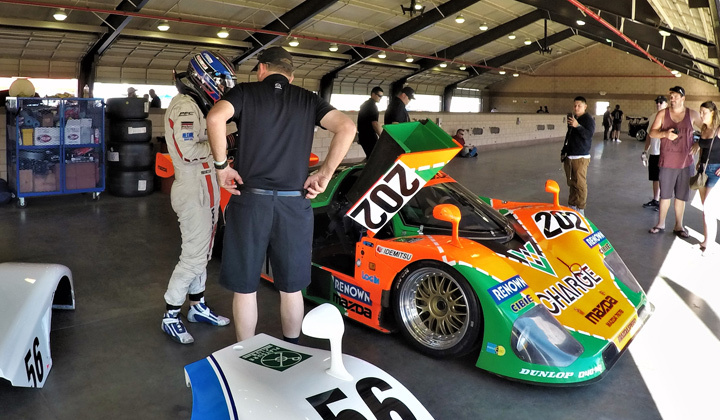 The screaming little motors echoed throughout day. 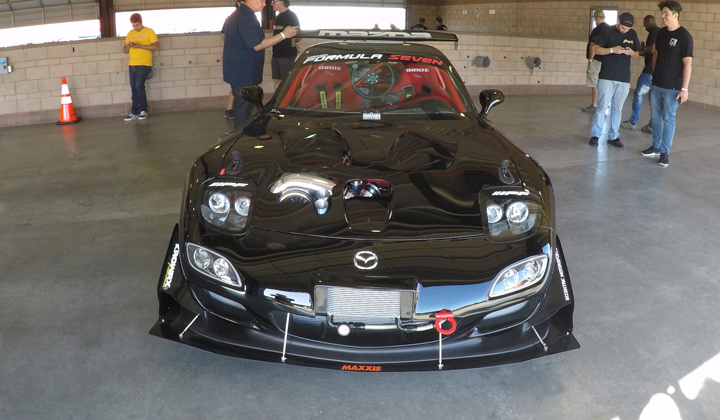 On display among the hundreds of entries were cars from every generation that the rotary engine was available. 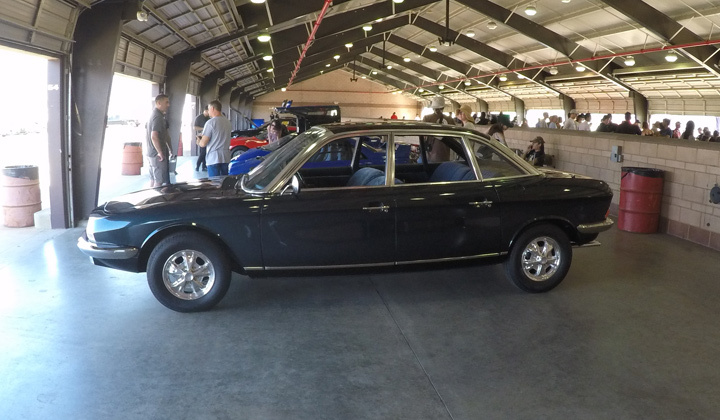 Out in full force were the Cosmo, the RX-2, the RX-3, pickup trucks, all the F series bodies, and not to mention the odd conversions and kit cars. 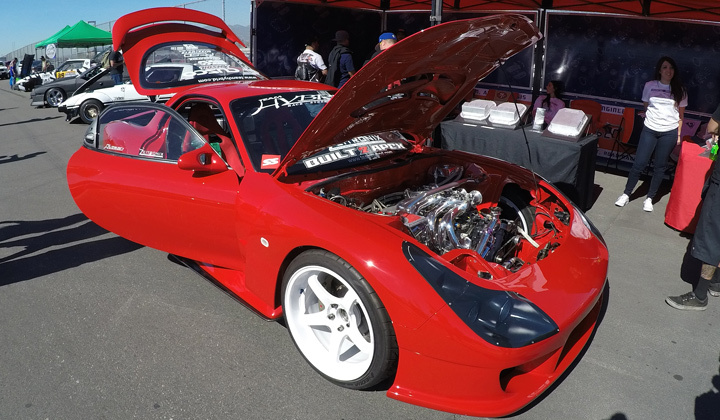 From an all-original, one-owner early RX-7 FB, to a specially built, flame-spitting four-rotor FD, the variety of cars on display was outstanding. 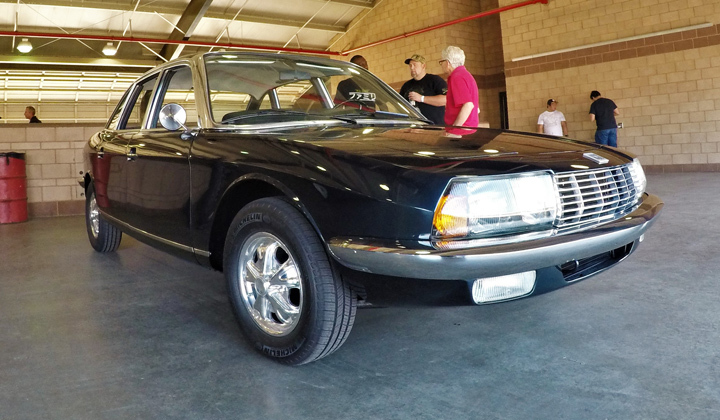 One vehicle at the show worth mentioning was the front-engined, front-wheel-drive NSU Ro 80, the granddaddy of the rotary cars. 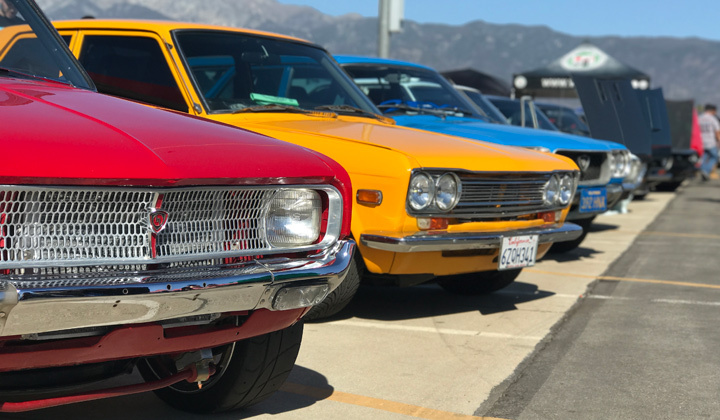 Younger attendees were quite surprised to learn that the original rotary design is not Japanese, but in fact of German origin. 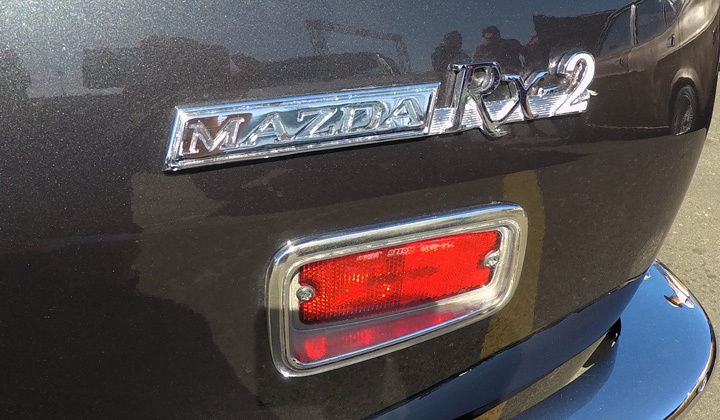 Ironically, the motor that put Mazda on the map practically bankrupted the German manufacturer. 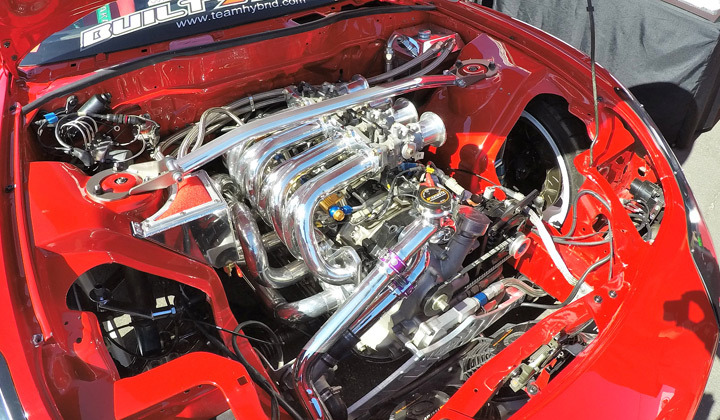 The varying degree of modifications and conditions of the cars were quite evident as the majority were driven to the event, while a small handful were trailered. 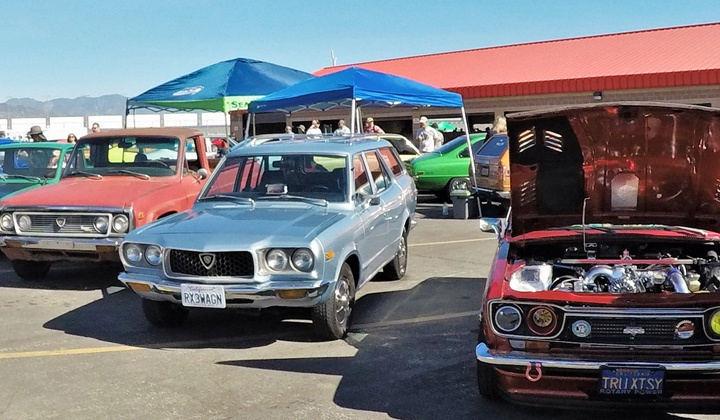 Garage queens and daily-driven examples were plenty, and while mods were quite tasty and at times quirky, they reflected each individual’s taste and style. 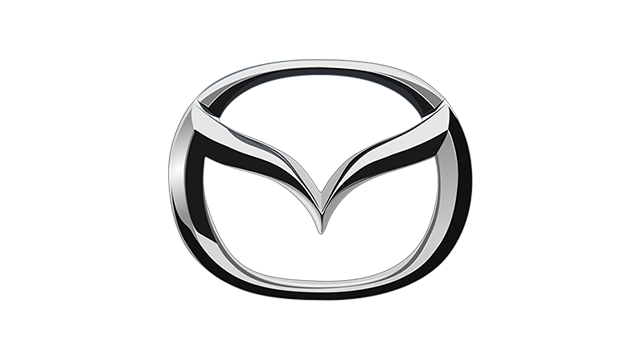 The Mazda rotary engine has definitely earned its place in automotive history, and the passion for the pistonless wonder continues. 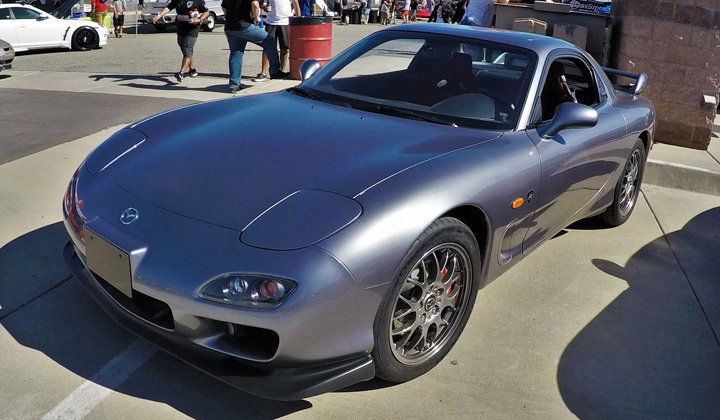 Having experienced everything from the stacatto-like idling to the ear-shattering fly-bys along the banked speedway, I left the show with a renewed sense of appreciation for the rotary engine’s musical madness. 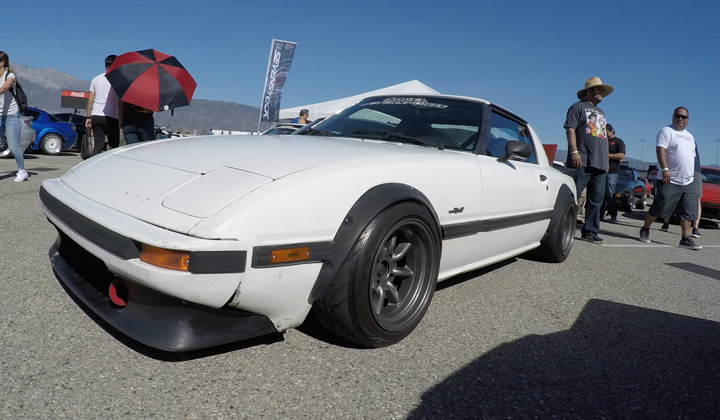 My ears hurt and my skin was baked from staying under the SoCal sun, but I’ll definitely be back for next year’s Sevenstock. 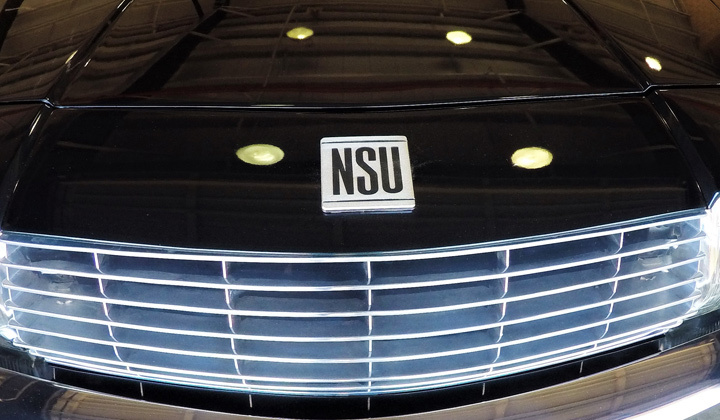 Enjoy the rest of our photos!